The final podcast episode of this year is now live. First there are a couple of no-nylon sock related announcement. In particular, Whistlebare Farm, whose Cuthbert Sock Yarn I really rate, is currently offering a 20% discount to celebrate the launch of its new website. Emma, of Woolly Mammoth Fibre Company, is considering commissioning the spinning of a sock blend that is made up of 100% British wool (so no nylon or mohair) and is assessing whether there would be interest for such a yarn. If this might appeal to you, contact her via her original post on Instagram. In this December offering I am musing about how luxuries and treats change when we choose to avoid certain products for environmental or ethical reasons. Cashmere and beautifully hand dyed superwash wools may be off limits for me, but I am finding other splendid yarns that are real gems, even if they don’t have the cachet of a luxury yarn. Like the Gotland DK from The Little Grey Sheep, which I am currently using. 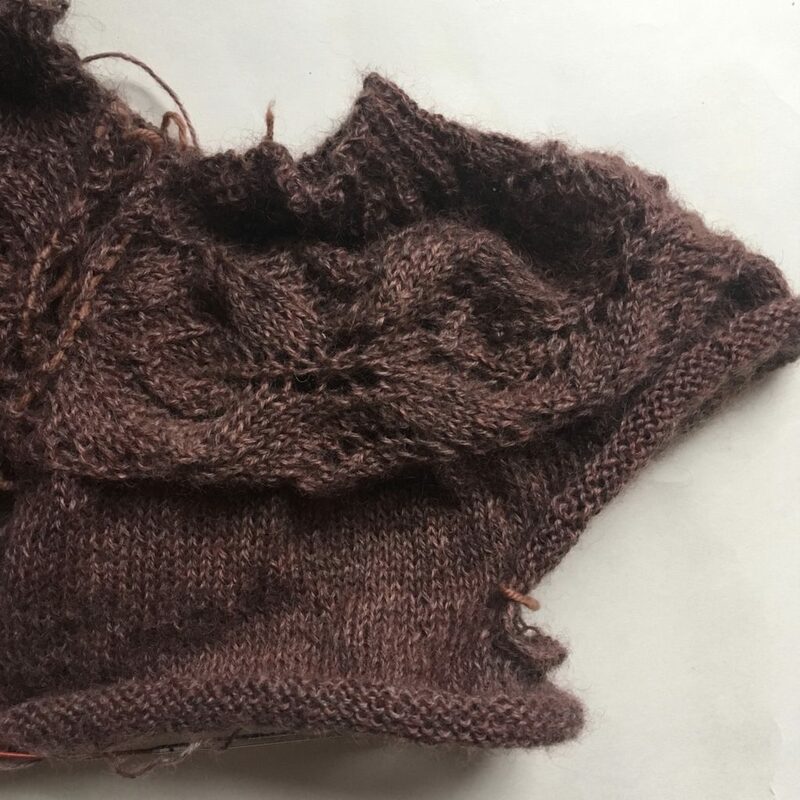 After a false start with Andi Satterlund’s Salal cardigan, I have now cast on the Lush cardigan by Tin Can Knits in this beautiful wool. My review of this wool cites technical information taken from the Fleece and Fiber Sourcebook by Deborah Robson and Carol Ekarius but mostly focuses on my own experience of working with this wool. If you want more details about The Little Grey Sheep as a wool producer, check out Episode 1 of the podcast. 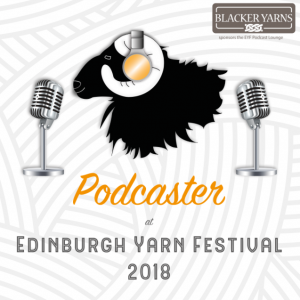 For those wanting to explore other breeds but unsure where to start, I recommend checking out the year of Wool Exploration that Louise (aka @KnitBritish) is organising and which she spoke about in episode 96 of the Knit British podcast. 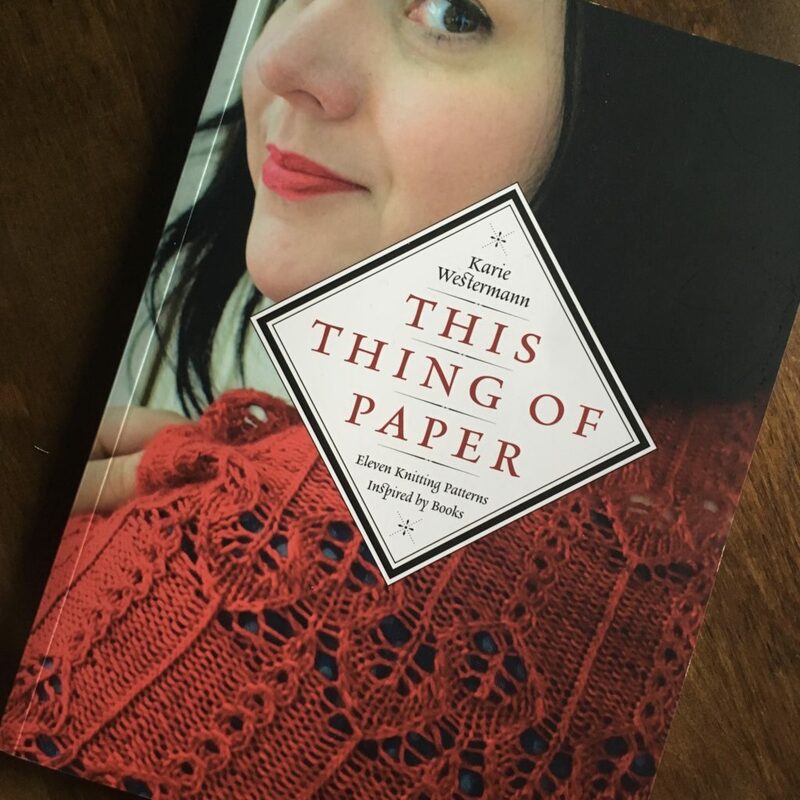 Talking of treats, I also review a new gem of a pattern book: This Thing of Paper by Karie Westermann (aka @KarieBookish). 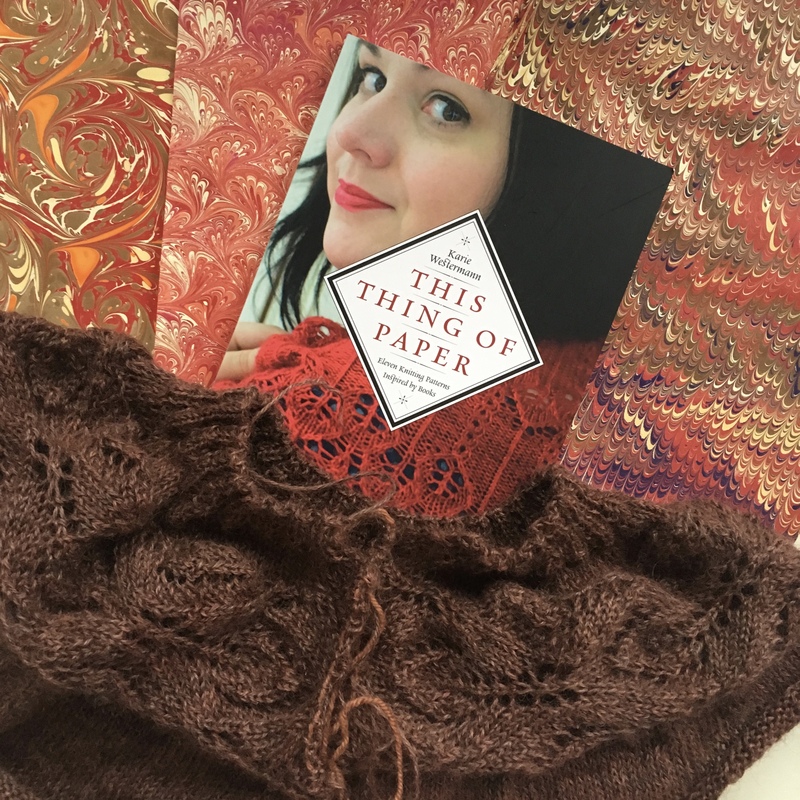 This book of 11 knitting patterns is inspired by books and the history of books at the pivotal moment when books shifted from manuscripts to printed books. As is often the case with Karie’s designs, her patterns are prefaced by essays that explore the inspiration behind the designs and encourage us to knit beautiful garments and accessories but also to question and find agency and our voice through making. This Thing of Paper costs £18.99. As Karie’s stock has already sold out, she is organising a second print run, but it may still be available at some stockists. As this is a remarkable book, and the first knitting book to be included in the Gutenberg Museum’s archives of book history, I am also running a give-away of a copy of this book. I am looking for book recommendations that have had a profound effect on how you view materials, making and natural world. My own recommendations might include Elizabeth David’s English Bread and Yeast Cookery or Richard Mabey’s The Unofficial Countryside. There are more details of how to enter in the episode. 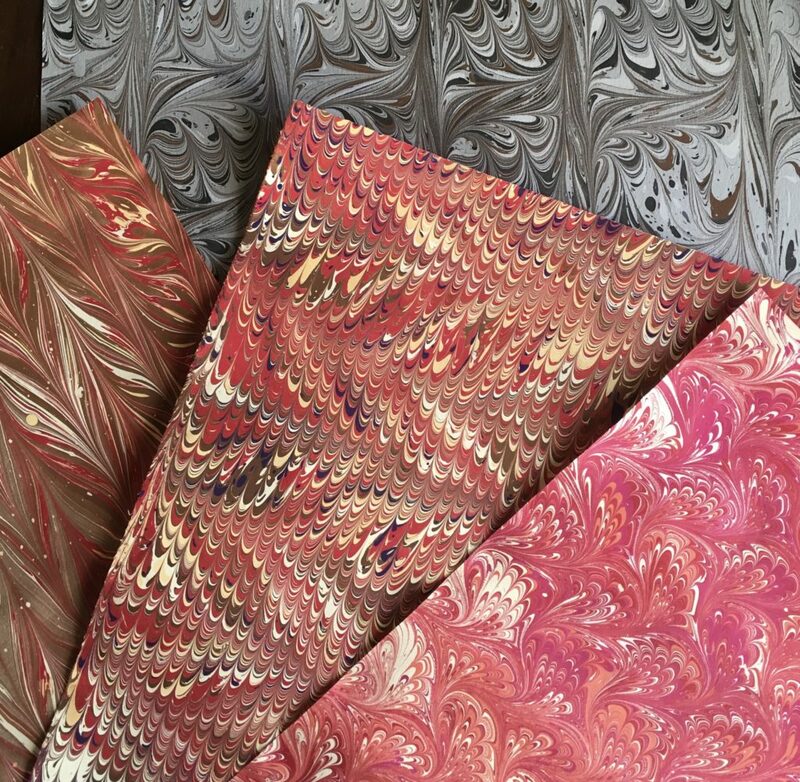 Finally, staying with the topic of books and luxuries, I share details of a recent paper marbling workshop I attended run by Freya Scott (aka @paperwilds), who also works with the charity Bound By Veterans. In a one-day workshop Freya guided us through the steps involved in paper marbling with water based paints and taught us almost a dozen traditional patterns. Your podcast is a luxurious treat, and I’m grateful for all that learn following your explorative journey. Merry Christmas!! P.S. 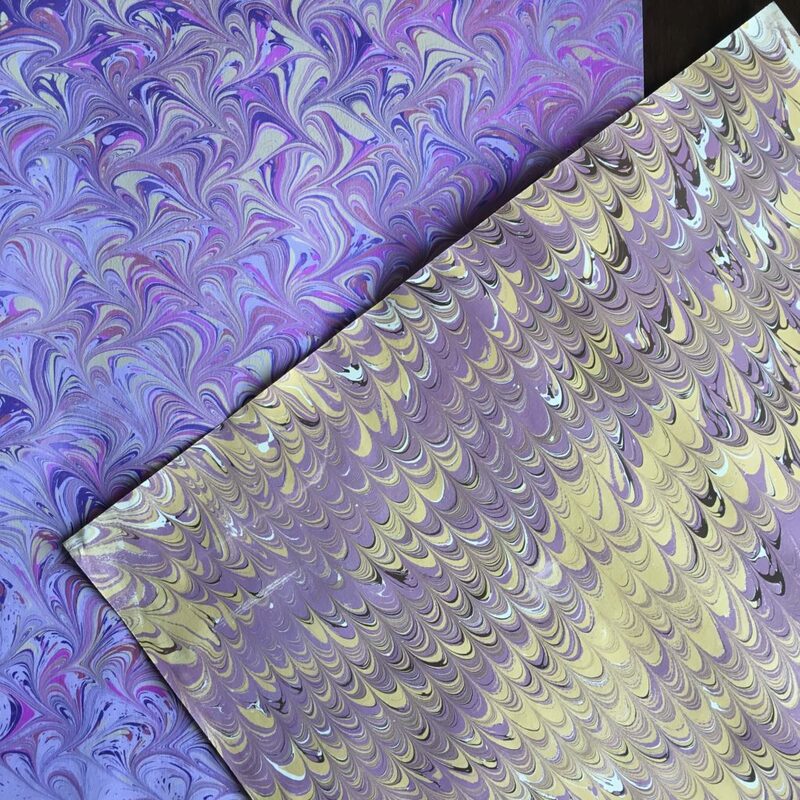 Your marbled paper is gorgeous! !